Coaches, referees, armorers, sports doctors, sports psychologists, personal trainers, parents and fencers, we want to hear from you. Your generosity in sharing your know-how, experience and wisdom will help young fencers in their pursuit of fencing excellence. You can contribute a blog, article, video or e-book. Our editorial team can help with production, if you need our help. Thank you for your contribution. We really appreciate that you have taken the time to make our community a better place. We will get back to you as fast as we can. 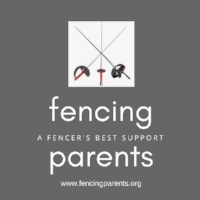 Fencing Parents will be starting a podcast series featuring coaches, referees, armorers, doctors, trainers, parents and fencers. We want to address fencing related topics most important to you. Please share your suggestions for both topics and possible podcast guests with us. Thank you! for sharing your ideas. We will follow up with you, or we will contact your suggested guest directly. If you can facilitate the introduction, please let us know. You are the linchpin of every fencer's success. Your guidance, whether general or weapon specific is highly valued. From training schedules to footwork drills to development of fencing skills to strip coaching, both fencers and their parents will benefit greatly from your insight. We want to hear from you. You are vital to the success of fencing as a sport. But you are frequently misunderstood and unnecessarily maligned for "bad" calls. Parents and fencers, both, will benefit from listening to your viewpoint, and understanding your motivations for being referees. Everyone expects too much of you. Thank you for your contribution. We really appreciate your taking the time to enrich this fencing community. We will get back to you as fast as we can. For most parents, this is a big blindspot. The very idea of having to re-wire a blade sets off anxiety. Most of us cede all responsibility to the equipment vendor or to the coach. Even if we never learn to re-wire a blade, we can learn a lot about equipment maintenance from you. Thank you! for your contribution! We really appreciate your taking the time to enrich our community. We will get back to you as fast as we can. Your advice is invaluable for keeping our fencers safe and healthy. Fencing is known as a safe sport. But injuries do occur from pulled hamstrings to sprained ankles to "popped" kneecaps. Cramping is common at tournaments. When parents better understand the "why", they are better able to take preventive actions. Thank you for your contribution! We really appreciate your taking the time to enrich our community with your knowledge. We will get back to you as fast as we can. On strip, success depends on a fencer's ability to stay calm under pressure. Yet, young fencers receive no training on how to do this, mostly they are admonished by coach or parent to control their emotions. The mind under pressure is complex, help us understand this. We need your advice. Whole body conditioning and endurance training enhances performance. Our fencers will benefit from tips and advice on how to do this in a way that develops their bodies for fencing, from building the core to developing quads and hamstrings to being light on their feet. Please share with us. Many fencers aspire to be athlete recruits. The road is tough and only an elite few will make it. Parents and fencers alike would benefit greatly from understanding the process, so everyone is reality checked and can prepare themselves appropriately. Please tell us how the process works. Thank you for your contribution! We really appreciate your taking the time to enrich our community. We will get back to you as fast as we can. What you know about bringing up a fencer is golden knowledge to parents of new fencers. Getting insights from parents who have walked the path before them is invaluable. From missing school for tournaments to interaction with your fencer under pressure, your wisdom will ease the way. Thank you for your contribution! we greatly appreciate your taking the time to enrich our community with your knowledge. We will get back to you as fast as possible. Only you know what it feels like on strip. We want to hear from you how parents can best support you while competing. Share your aspirations and your goals and in fencing and outside, and inspire others with your stories. You are the reason for this fencing parent community. Thank you for your contribution! We really appreciate your taking the time to enrich this community with your knowledge. We will get back to you as fast as we can.